A University of Brighton graduate has landed what many would consider the perfect job – working on a sandy beach in the Seychelles, swimming in the Indian Ocean and based at a luxury resort. Lois Nippard graduated from the University last summer in Earth and Ocean Science BSc(Hons) and has been working for the past four months for WiseOceans, the marine conservation and education company. Lois said: “Each day arriving at the beach makes me laugh a little in shock at my ‘office’. Petite Anse is a remarkably beautiful bay, even by Seychelles standards, with the picturesque fine white sand, azure water and dramatic granite cliffs. Lois, 32 and from Bournemouth, is employed to teach holidaymakers about the marine wildlife and about the company’s conservation efforts, to conduct community outreach – teaching local children about their own marine environment – and to carry out surveys to help monitor local and global bleaching for CoralWatch, a citizen science project based at The University of Queensland in Australia. 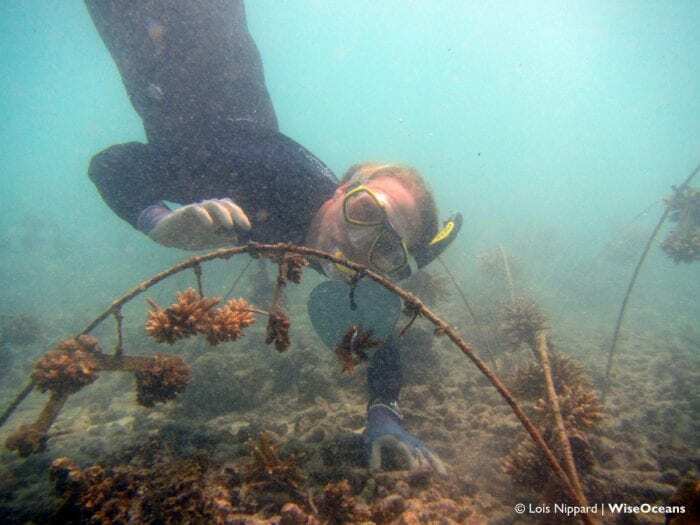 It helps non-scientists around the globe understand and support effective reef management. Lois said: “I strongly believe that to help protect the natural wonders of our planet you must combine science and education. 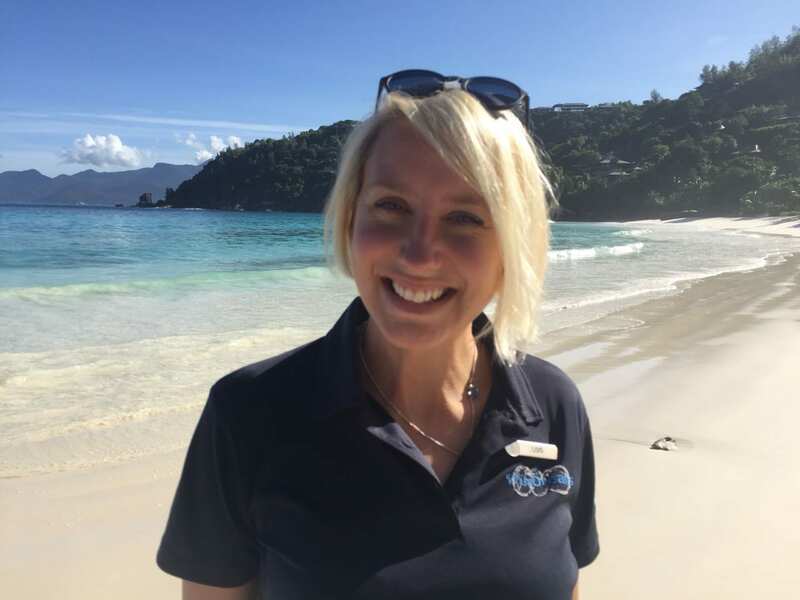 I feel proud that here at Four Seasons Resort Seychelles (where WiseOceans Marine Educator is based) I am able to contribute to both. “In this short space of time I feel like I have begun to make a real difference – whether it’s hearing an eight-year-old girl exclaim ‘THAT’S SO COOL’ when talking about sea stars re-growing limbs or talking to an owner of a large restaurant chain about ditching plastic straws, or collecting beach profiling data for the Seychellois government, everything, little or big, makes a positive difference. “I want to say how lucky I feel to be part of such a wonderful team. As a diverse group with different career backgrounds I feel like I am constantly learning from them all the time and they are more than happy to pass on that knowledge. Dr Corina Ciocan, Senior Lecturer in Marine Biology/Environmental Sciences in the University’s School of Pharmacy and Biomolecular Sciences, supervised Lois’s dissertation: “I am very proud to see Lois has secured her first job – and what a job – and in only few months after graduating. “On top of that, we submitted a paper to a peer reviewed journal, based on her final year project, and it is awaiting reviewers comments. For more information on WiseOceans careers, go to: www.wiseoceans.com/jobs.